it's not allowed in the USA, but if you're in the UK don't veto your right to bet365's generous signup bonuses. In the United Nations, five countries (called the Permanent Members of the Security Council) can veto a United Nations Security Council resolution. These five are the USA, the UK, France, Russia (USSR before 1990), and China (Taiwan before 1971). This is a list of these resolutions vetoed by the USA as well as resolutions in the General Assembly of the United Nations where the USA vote is against the majority of the world. The USA used its veto over 70 times during the 20th century. On the majority of occasions, the USA vetoed resolutions that were favoured by the majority of the world's nations. Very little of the USA's voting patterns is reported in the Western media. When other countries consider voting against a resolution put forward by the USA, they are usually demonised in the Western media and the whole basis of the United Nations called into question. 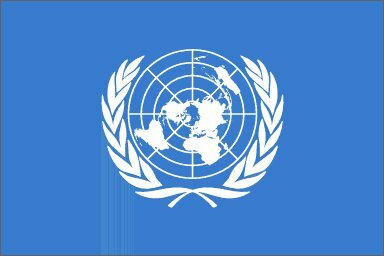 The United Nations and its voting system was set up at the end of World War II by the victorious nations from that conflict. There is, perhaps, an argument to modify the United Nations voting system and make it more representitive of the modern world. Even with its faults, the United Nations is not a few people in an office - it is the world community. It is the rest of the world - the 94% of the world's population that is not from the USA. By damning and ignoring the United Nations, the USA is snubbing the majority of the world's population. This will not make the USA more popular around the world. As one commentator on USA baseball in the UK noted: "Only the USA could have a World Series and not invite the rest of the world". This is the political equivalent. 1972 Condemns Israel for killing hundreds of people in Syria and Lebanon in air raids. 1973 Afirms the rights of the Palestinians and calls on Israel to withdraw from the occupied territories. 1976 Condemns Israel for attacking Lebanese civilians. Condemns Israel for building settlements in the occupied territories. Calls for self determination for the Palestinians. Afirms the rights of the Palestinians. Calls for the cessation of all nuclear test explosions. Calls for the implementation of the Declaration on the Granting of Independence to Colonial Countries and Peoples. 1981 Condemns an attempted coup by South Africa on the Seychelles. Opposes Israel's decision to build a canal linking the Dead Sea and the Mediterranean Sea. 1982 Condemns the shooting of 11 Muslims at a shrine in Jerusalem by an Israeli soldier. Calls on Israel to withdraw from the Golan Heights occupied in 1967. 1984 Condemns Israel for occupying and attacking southern Lebanon. 1985 Condemns Israel for occupying and attacking southern Lebanon. Condemns Israel for using excessive force in the occupied territories. 1986 Calls on all governments (including the USA) to observe international law. 1986 Condemns Israel for its actions against Lebanese civilians. Calls on Israel to respect Muslim holy places. Condemns Israel for sky-jacking a Libyan airliner. 1987 Calls on Israel to abide by the Geneva Conventions in its treatment of the Palestinians. Calls on Israel to withdraw its forces from Lebanon. 1989 Condemns USA invasion of Panama. Condemns USA troops for ransacking the residence of the Nicaraguan ambassador in Panama. 1989 Condemns USA for shooting down 2 Libyan aircraft. 1989 Condemns USA support for the Contra army in Nicaragua. Condemns illegal USA embargo of Nicaragua. Calling for a resolution to the Arab-Israeli conflict based on earlier UN resoltions. 1990 To send three UN Security Council observers to the occupied territories. 1995 Afirms that land in East Jerusalem annexed by Israel is occupied territory. 2001 To send unarmed monitors to the West Bank and the Gaza Strip. Condemns Israel for acts of terror against civilians in the occupied territories. To set up the International Criminal Court. 2002 To renew the peace keeping mission in Bosnia. 2002 Condemns the killing of UK worker for the United Nations by Israeli forces. Condemns the destruction of the World Food Programme warehouse. Condemns the building of a wall by Israel on Palestinian land. ?-? 2004 Condemns the assassination of Hamas leader, Sheik Ahmad Yassin. 2004 Condemns the Israeli incursion and killings in Gaza. Our complete set of pass4sure 640-802 certification guides you to pass your real pass4sure F50-531 certification training along 650-367 exams products. We also provide pass4sure 70-680 certification and pass4sure mcitp exam questions material. "I do not believe that the United States should be bound by the same rules as the smallest African nation. Life isn't like that." "[The USA will] behave, with others, multilaterally when we can and unilaterally as we must." "The [USA] Department of State desired that the United Nations prove utterly ineffective in whatever measures it undertook. This task was given to me and I carried it forward with no inconsiderable success." "Thus, instead of having to leave the occupied territories Israel continues to push out the locals by force, uproot their trees, steal their water, beggar them by 'closures' and endless restrictions, and it suffers no penalties because it has USA approval, protection, and active assistance. The partners also deny Palestinians any right to return to land from which they were expelled, so 140+ contrary United Nations votes, and two Security Council Resolutions (both vetoed by the United States) have no effect; and in a remarkable Orwellian process of doublethink - and double morality - Israel is free to expel more Palestinians in the same time frame in which their protector spent billions and great moral energy in a campaign to return worthy victims in Kosovo." "Another remarkable Orwellian process is this: the abused and beggared Palestinian people periodically rebel as their conditions deteriorate and more land is taken, homes are demolished, and they are treated with great ruthlessness and discrimination. Many are among the hundreds of thousands expelled earlier, or who have still not forgotten their relatives killed and injured by Israeli violence over many years - and Palestinian deaths by Israeli arms almost surely exceed Israeli deaths from 'terrorism' by better than 15 to 1. And after this long history of expulsion and murder they are still under assault. In this context, if they rise up in revolt at their oppressors this is not 'freedom fighters' or a 'national liberation movement' in action, it is 'irrational violence' and a return to 'terrorism,' and both Israeli and USA officials (and therefore the mainstream USA media) agree that the first order of business is to stop this terrorism." "But in the definitional system of oppressor and patron this is TERRORISM, horrifying and intolerable. What Israel has done making this people desperate is not terror. As [USA] State Department PR man James Rubin explained after another spate of Israeli demolitions of Palestinian houses, this was 'a wrong signal' for a delicate stage in peace talks. Not bad in themselves and a violation of the Fourth Geneva Convention, just a wrong signal. Madeleine Albright called on the Israelis to refrain from 'what Palestinians see as the provocative expansion of settlements, land confiscation, house demolitions and confiscation of IDs'. Only 'the Palestinians' see these actions as 'provocative;' Albright does not find them objectionable in themselves or illegal. In fact, under Clinton the United States finally rejected the international law and almost universal consensus on the occupation, declaring the territories not 'occupied Palestinian lands' but 'disputed territories' (Albright). By USA fiat Palestinian lands became open to settlement by force by the ethnic cleanser who the United States has armed to the teeth, and who has aggressively brutalized while creating 'facts on the ground' during the 'dispute,' which will not be settled until the victims end their terrorism." "And Albright has stressed that there is 'No moral equivalency between suicide bombers and bulldozers' (Newsweek, Aug. 18, 1997). Clinton, standing next to Israeli Prime Minister Shimon Peres as the latter defended a blockade of the Palestinians that was adding to their misery, put the blame on Hamas who were allegedly 'trying to make the Palestinians as miserable as possible' (Phila. Inquirer, March 15, 1996). There was not the slightest hint that Israel was contributing to Palestinian misery despite massive expropriations and 300 devastating "closures" after 1993." "So it is not Israeli policy, which amounts to a continuous and illegal assault on and displacement of the Palestinians, that is ultimately at fault and that must be changed to resolve this conflict. Albright can't recognize that decades of 'bulldozers' necessarily produce suicide bombers, although she was quick to find that much less repression in Kosovo produced 'freedom fighters;' nor can she distinguish between systematic policy (i.e., bulldozers) and uncontrollable outbursts from victims that do NOT constitute policy. The inability of these USA officials to see Israel's hugely discriminatory and brutal expulsions, demolitions, mistreatment and plain exploitation as seriously wrong in themselves, illegal, or causal manifests a complete identification with and apologetic for the ethnic cleansers. Five years ago a senior Clinton White House official declared that 'We are not going to second-guess Israel'. [Later] Colin Powell assured the Jewish lobbying group AIPAC that 'We are dedicated to preserving this special relationship with Israel and the Israeli people...[and] a secure Israel with internationally-recognized borders remains a cornerstone of the United States foreign policy.' In short, now as in the past, and with only rare exceptions, as in the case of the unauthorized Israeli attack on Egypt in 1956, Israel will get strong USA support for whatever it does, and the ethnic cleansing of its unworthy victims can proceed as required." "One of the triumphs of [the] Oslo [Agreement] was its buying off of Arafat, making him into a second class client and an enforcer of the pathetic 'settlement,' with USA and Israeli funds and training exchanged for his commitment to keep his people in line and control 'terrorism.' The formula for the wholesale terrorists (Israel) has always been: whatever violence we perpetrate is 'retaliation' and it is up to the retail terrorists (Palestinians) to stop terrorizing and then we might 'negotiate' with them in a 'peace process.' Israeli leaders say 'You can't ask us to stop expanding existing settlements, which are living organisms' (Netanyahu), as if this were not in violation of UN resolutions, the Fourth Geneva Convention, and even the 1993 Oslo agreement itself." "USA officials can never bring themselves to say that what Israel is doing is wrong - at worst it may send 'a wrong signal,' etc. And they follow closely the Israeli party line that 'terrorism' (Palestinian, not Israeli) must be stopped first, so that the 'peace process' can be put back on track. For Albright, 'security' is primary, and she told Arafat that 'she needed a commitment and action on the subject of security' before she could make a credible approach to Israel on other issues. 'Security' always means Israeli security, not Palestinian, for Albright - or for Colin Powell - just as for Israeli officials. Here as elsewhere these high USA officials internalize the Israeli perspective and the idea of 'security' for the unworthy victims doesn't arise, any more than the notion that Israeli insecurity arises from the much greater Palestinian insecurity that inevitably results from Israeli policies. In his visit to Jerusalem in March 1996, Clinton spoke of 'the awful persistence of fear' - but only in reference to Israelis, not to Palestinians. This is an internalized racist bias that has characterized USA official statements and media and expert opinion here for decades." "Why does the United States support Israel's ethnic cleansing? Broadly speaking, the reasons boil down to two factors. One is Israel's role as a USA proxy in the Middle East and its integration into the USA security system, which encompasses not only keeping the Arab world in line, but also providing services like supplying arms to the Somoza regime in Nicaragua, the Pinochet government of Chile, Mobutu, Idi Amin, apartheid South Africa, and the Guatemalan and Argentinian terror states. Because of these services, Israel's victims are not merely unworthy, they also become 'terrorists' and part of the 'Islamic threat' for the USA political elite and mainstream media." "The second factor is the exceptional power of the pro-Israel lobby, which for many years has bought and bullied politicians and the media, so that they all vie with one another in genuflections to the holy state. This bullying is especially strong and effective in Canada and the United States, but it applies widely, and the distinguished British reporter Robert Fisk, describing the abuse he has suffered in reporting on the Middle East, says that 'the attempt to force the media to obey Israel's rules is now international'." "These factors feed into the intellectual and media culture in complex ways that institutionalize the huge bias, with pro-Israeli and anti-Palestinian perspectives internalized and / or made obligatory by potential flak and pressure from above and without. This is extremely important, as there is no reason to believe that the USA public would support a massive and brutal ethnic cleansing program if they were given even a modest quantum of the ugly facts, if the main victims rather than the ethnic cleansers were humanized, and if the media's frames of reference were not designed to apologize for Israeli expropriation and violence. However, the ongoing media and intellectual biases do very effectively complement the national policy of support for the ethnic cleansing state, just as they helped cover up national policy supporting Indonesia's murderous occupation of East Timor, and just as they roused the public to a pitch of frenzy over the unapproved Yugoslav violence in Kosovo." "Never before in modern history has a country dominated the earth so totally as the United States does today... America is now the Schwarzenegger of international politics: showing off muscles, obtrusive, intimidating... The Americans, in the absence of limits put to them by anybody or anything, act as if they own a kind of blank cheque in their 'McWorld'". "The UN is headed for the dust bin of history. It has no moral authority. It is dominated by cowards, scoundrels and thieves. It's participants do not even obey the laws of the city of New York. Many of us are ready to help UN personnel pack and to drive them to the airport for a one-way trip out of our country. Today would not be soon enough. Good riddance to the self-serving human debris." "The tougher Sharon becomes, the stronger our image will be in the Middle East". Subjects of all UN Security Council vetoes (1946 to 2008) with references.